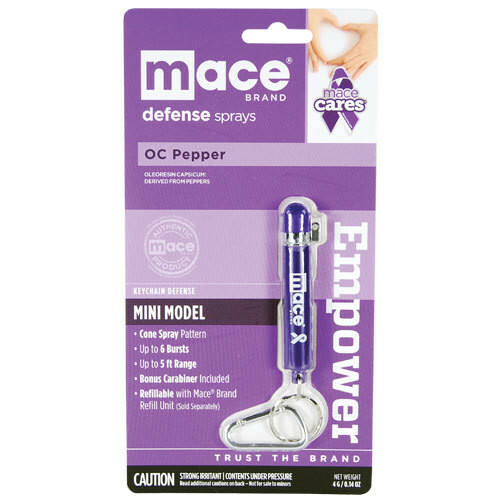 Mace Brand Mini pepper spray models are conveniently sized and discreet to carry. They are ideal to keep on a key ring and the hinged safety cap flips open to reveal the actuator button. Refillable with Mace Brand Refill Unit. The Mace Keyguard® is a 3 gram unit that contains approximately 6 short bursts with an effective range up to 5 feet.